Although only the sixth mission that Tracy and I have visited, this was the 21st and last mission built in California. It was the only mission to be constructed under Mexican rule and is named for Saint Francis Solano from Montilla, Spain. 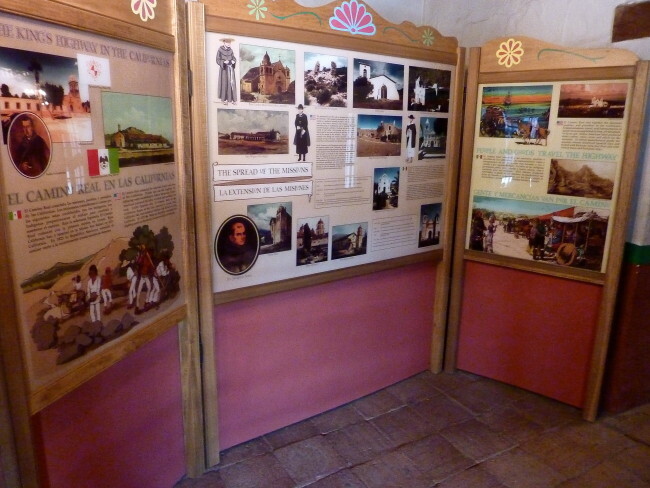 It was founded by Padre Jose Altimira on July 4, 1823, but Altimira was not a good man. Altimira had a nasty habit of flogging and imprisonment to keep his control of the natives. That didn’t last too long. In 1826, the natives were restless and formed a group that stormed the mission, looting and burning the buildings. 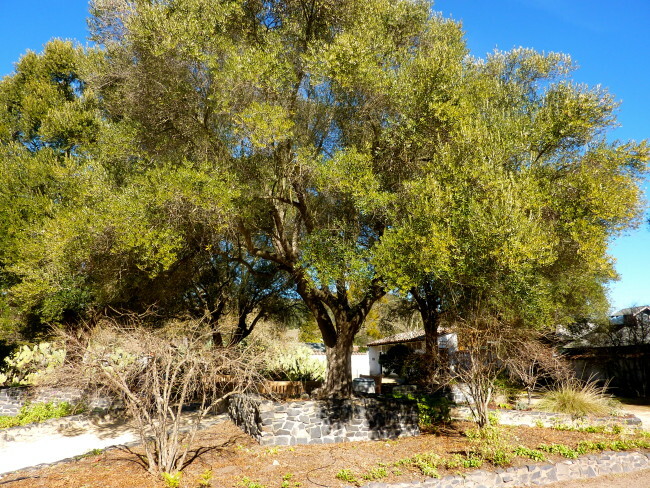 Father Altimira was forced to flee to San Rafael. 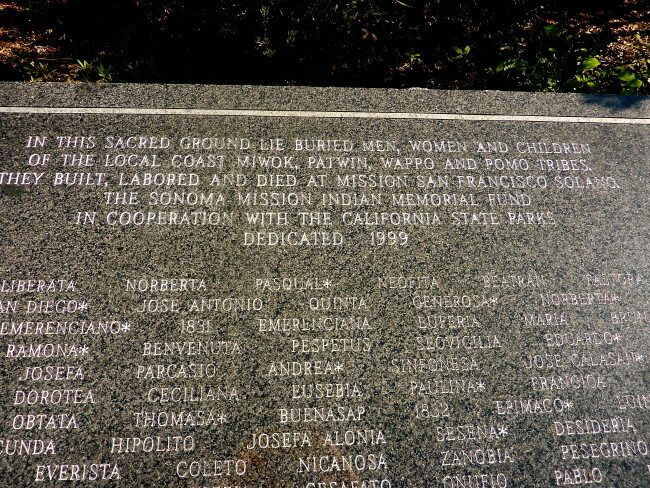 Unable to return to the mission he eventually went back to Spain. Padre Fortuni came in to help restore the mission. 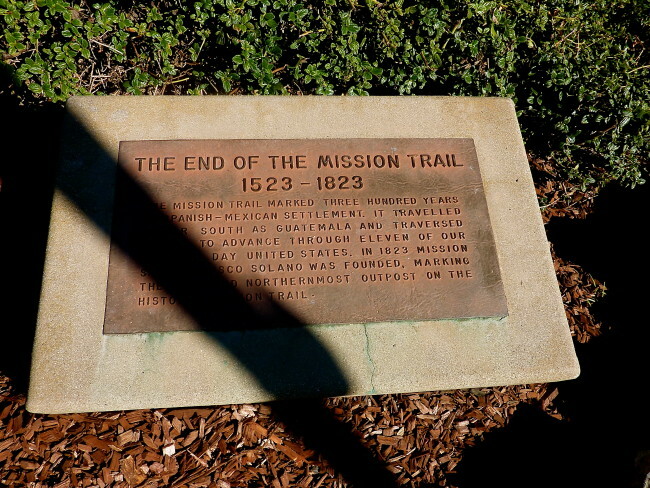 When the mission construction was completed and the mission running smoothly, Father Fortuni requested a transfer. 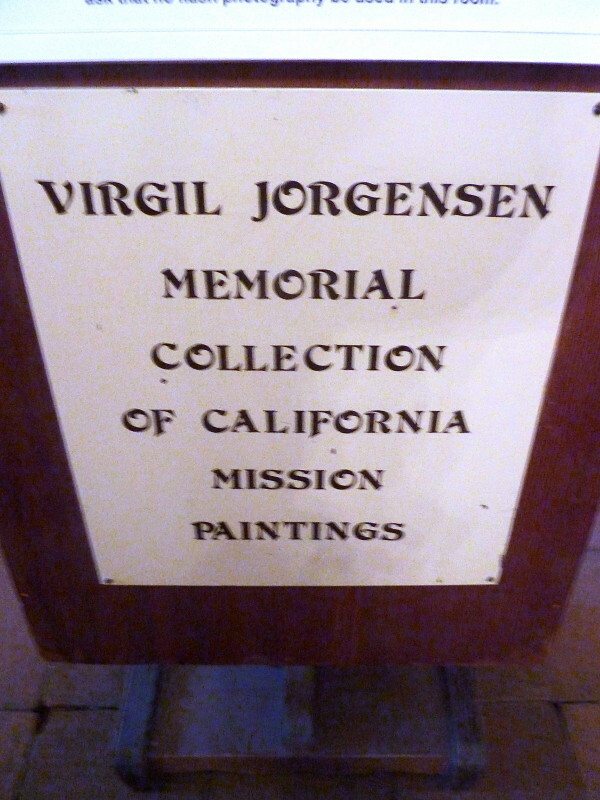 This mission does not take very long to visit. The first room you visit is the Bell Room, one of only three remaining rooms from the original 21. This room has some photo exhibits. 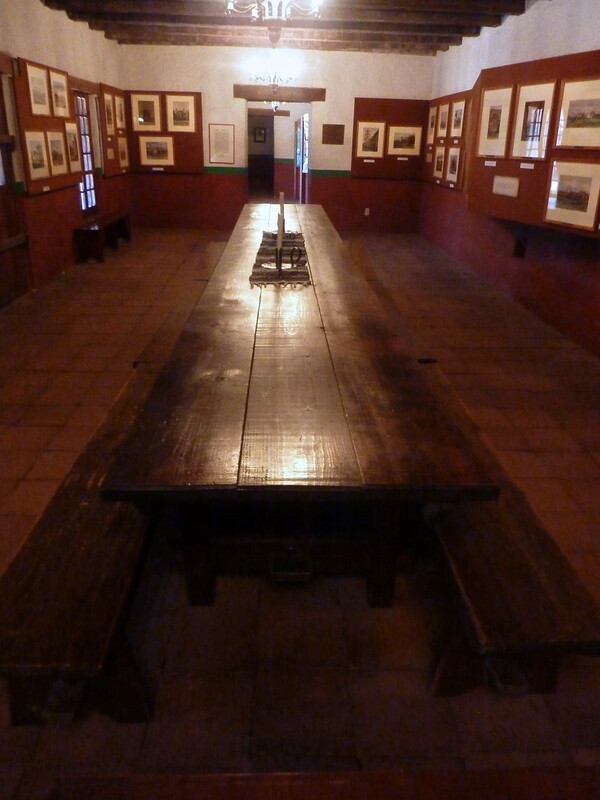 The next room we entered was the Dining Room that has paintings of 17 of the 21 missions. The Chapel was built in the 1840s. 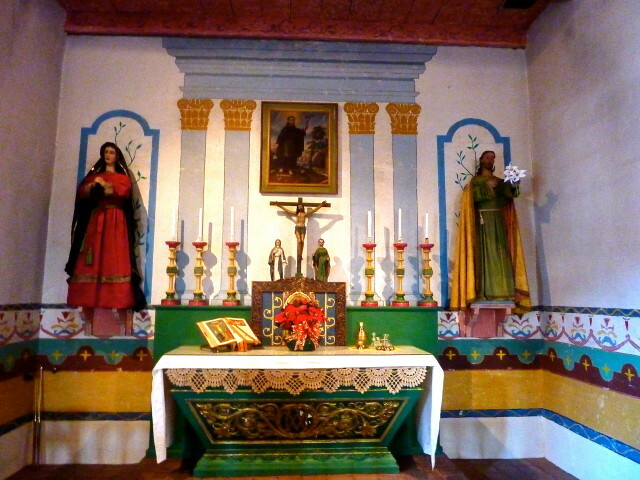 The raised pulpit made it easier for the priest to be sen and heard by the parishioners. 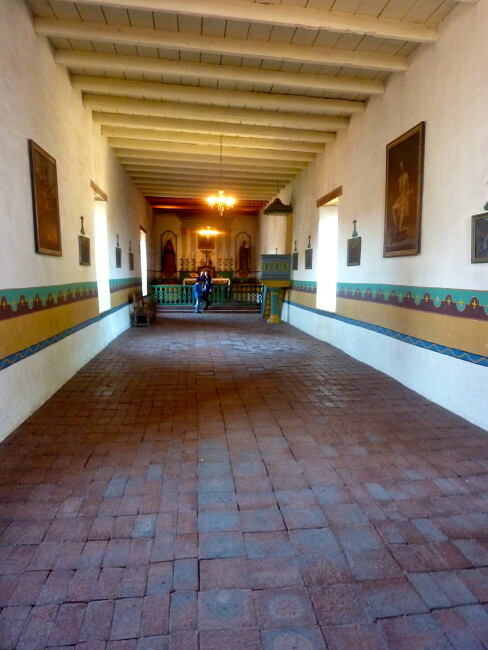 When you walk into the Chapel, to the left is the grave site of Maria Ygnacia Lopez de Carrillo, the mother-in-law of General Mariano Guadalupe Vallejo founder of the pueblo of Sonoma, and Commandante General of Alta California. 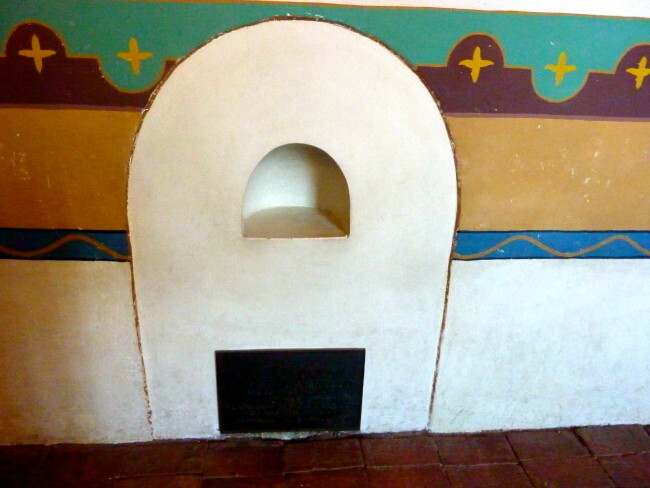 She is the only person to be buried at the church. Exiting in the back, we took a quick tour of the Courtyard. 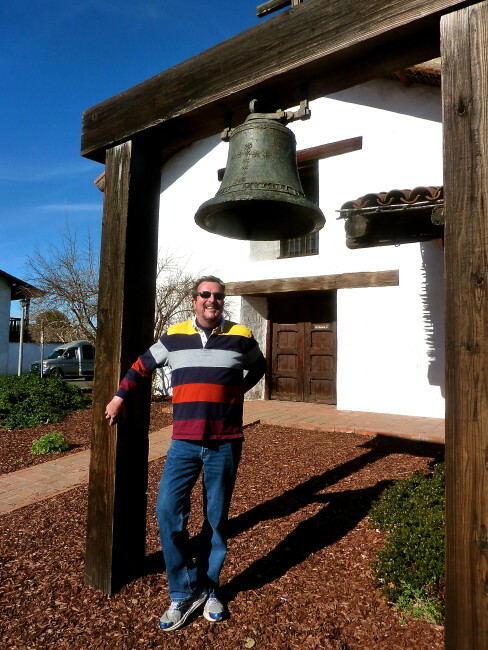 After the short, self-guided tour (about 20 minutes will do it), we stopped at the mission bell in front. 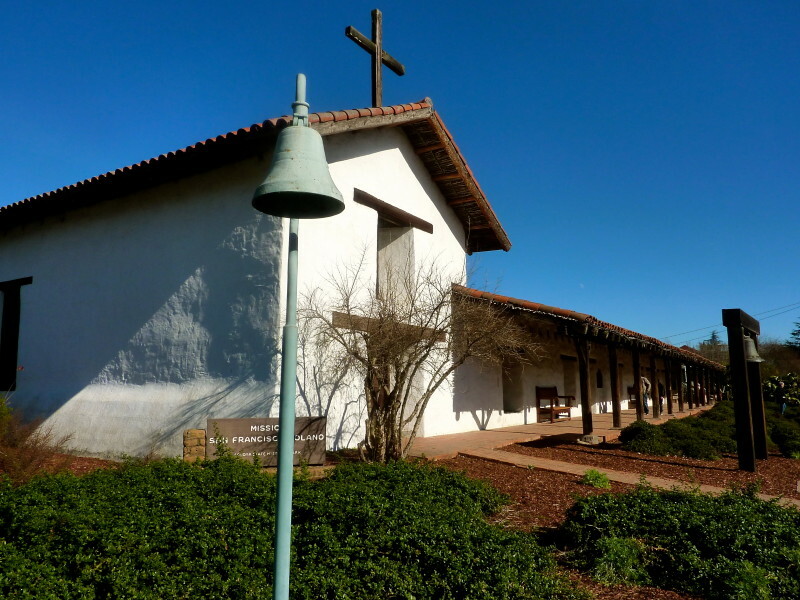 Instead of a bell tower, Mission San Francisco de Solano has a simple wooden frame that has a bell in the middle of it. 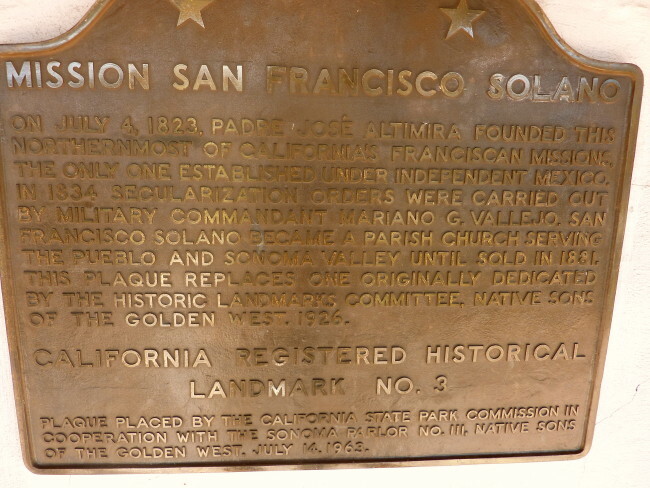 The bell was a gift from the Russians at nearby Fort Ross (see California Dreaming). 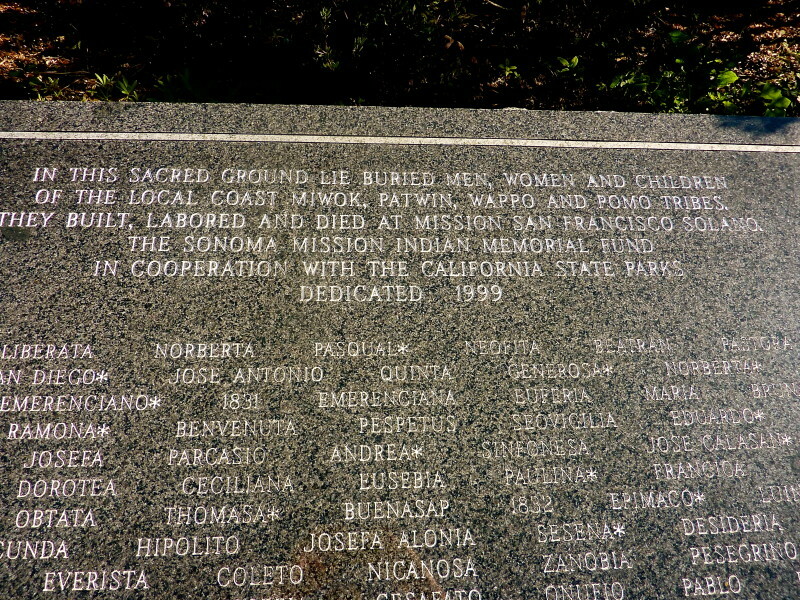 As you leave and turn the corner (between the mission and the Sonoma Barracks on East Street) there is a sobering reminder of the California Indians who died during the 11-year run of the mission. Mission San Francisco de Solano was the end of the Mission Trail…but not for Tracy and me…we still have 15 more to go! 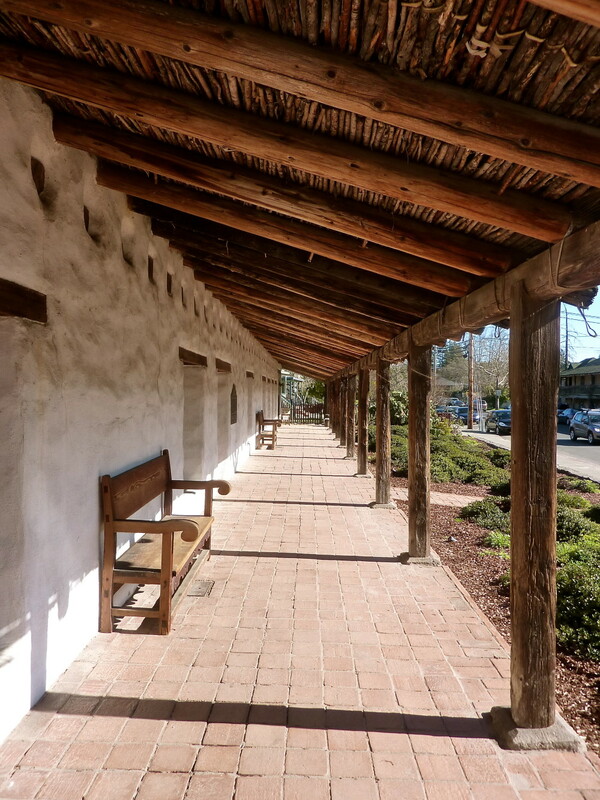 Quick fact: With your paid admission to Mission San Francisco de Solano, you also get free admission to General Vallejo’s home (short drive) and the Sonoma Barracks located across the street from the mission. 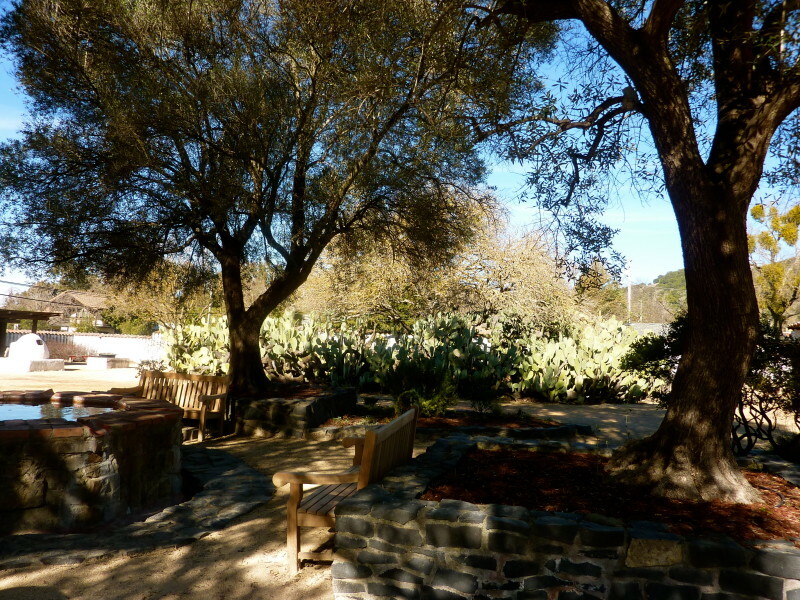 Hours: Tuesday – Sunday – 10:00 a.m. – 5:00 p.m.